If it seems like you’re frequently reading about cases of white supremacist fliers or racist stickers cropping up on college campuses and in cities across the U.S., you’re not wrong. According to numbers just released by the Anti-Defamation League, there were 1,187 recorded incidents of racist propaganda in 2018 — nearly double that seen in 2017. Meanwhile, the Southern Poverty Law Center found over 1,000 active hate groups in the U.S. in 2018, an all-time high. We know that hateful rhetoric in the U.S. and abroad is emboldening hateful people. After all, some sitting members of Congress have ties to hate groups, as do members of the Trump administration. When the president is spouting hateful lies about immigrants, Muslims, Jews and other communities, his words are taken seriously — including by members of hate groups. In fact, the FBI is observing a steady rise in hate crimes clearly linked to the political climate. The ADL’s findings point to an interesting evolution of this trend. At the same time that hate groups are feeling more secure, members of the general public are growing more assertive about identifying and fighting hate — and the consequences for being openly associated with hateful groups can be significant. As a result, some people appear to be going underground; instead of, for example, holding a public event or march, they’re fliering communities or putting up stickers in heavily-trafficked areas in the hopes of anonymously promoting hate. Most of this activity is taking place in big cities. Patriot Front, Identity Evropa, Daily Stormer members and Klan groups led the pack with this propaganda, which included fliers left on doorsteps and in mailboxes, posters and stickers put up in areas with high foot traffic, fliers placed in library books and banners displayed on overpasses. The ADL also noted that events held by such groups are smaller and not as heavily advertised, with the clear goal of avoiding negative attention. White supremacists also engaging in spontaneous flash mobs and banner drops to spread hate with little notice, dispersing before they can be apprehended by law enforcement. Messaging is also getting more subtle. Some fliers are quite stylishly designed, and they’re low-key, not obviously hateful — you might walk past one on the street and not really register what it is or track its implications. The ADL believes this is by design, with the goal of helping these groups reach people who might be put off by more overt messaging. For individuals familiar with the dog whistles in their language and imagery, though, they send a very different messages — whether it’s anti-Semitic, Islamophobic, anti-black, or carrying some other form of hate. If you spot propaganda from white supremacist groups, you should alert law enforcement and/or anti-hate groups like the SPLC and the ADL. Also raise the issue with people in your community; make sure they understand that it’s hateful propaganda, not a harmless or weird flier — and that it’s designed to appeal to people who could be enticed into joining hate groups. Make it clear that there’s no room for hate in your community, and that you take such incidents seriously. ELAIN W, When you pay attention to people like trump and his hate filled supporters, you are feeling what they are putting out, but it's not originating from in you except in the sense that you are temporarily taking on their vibe , but once you move away and regain your balance, the feeling of hate goes away unless you keep calling it up by thinking hateful thoughts. I am so repulsed by trump and his ilk, I can't even bare to look at or listen to him because what he stands for is SO in opposition to all that I consider good, worth while and decent that it hurts. 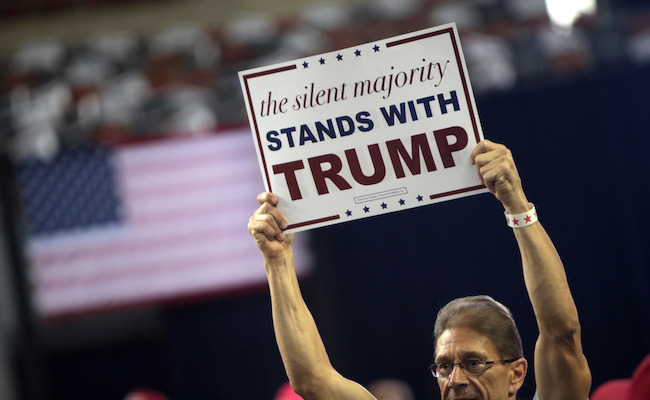 time for the silent majority to speak up. I tend to agree. The vocal minority on both extremes would have us believe otherwise. Choose not to listen to their rhetoric. Thank you for the heads up. I had not thought of looking for these, but now I will be more aware. ...Or rather, congratulations to New Zealanders for electing her! I agree with you. I think she's an example of how a wise leader can react positively to a tragedy of this sort. Refusing to mention the killer's name so as not to 'advertise' him seems to me to be a stroke of imaginative genius. Lucky New Zealand to have her! I do not believe the majority of people in this country have lost all their principals. Love your neighbor and vote for greater good for all. Prime Minister Jacinda Ardern is a leader who knows who to govern. The terrorist. The criminal. The gunman wanted notoriety but this PM has stated that the gunman will remain nameless. She set in motion that there will be changes to the gun laws. She visited and mourned with the Muslim community. Something the feckless wanker that is the president of USA kows nothing of.